We recently received an e-mail sharing a very special story that had everyone at Maggie’s Crochet gathered around to read it – everyone smiling from ear to ear. Ramona Saintandre told us a story of kindness, love and Christ. Ramona belongs to a small community church craft club in Michigan. They started out as a group to make hats and scarves for the church’s angel tree project at the holiday times. They have since grown into doing prayer shawls and “prayerghans”, which are for guys, people in wheelchairs or young people for whom a prayer shawl wouldn’t be fitting. They also do towel angels that they give out in their holiday baskets. They even had a Secret Santa Shop last year where the children got to pick out gifts for the adults in their lives. Over the last year and a half they have really been growing. With the winter blues going around, Ramona found inspiration when she came across the Blooming Granny Square Pattern and Challenge. 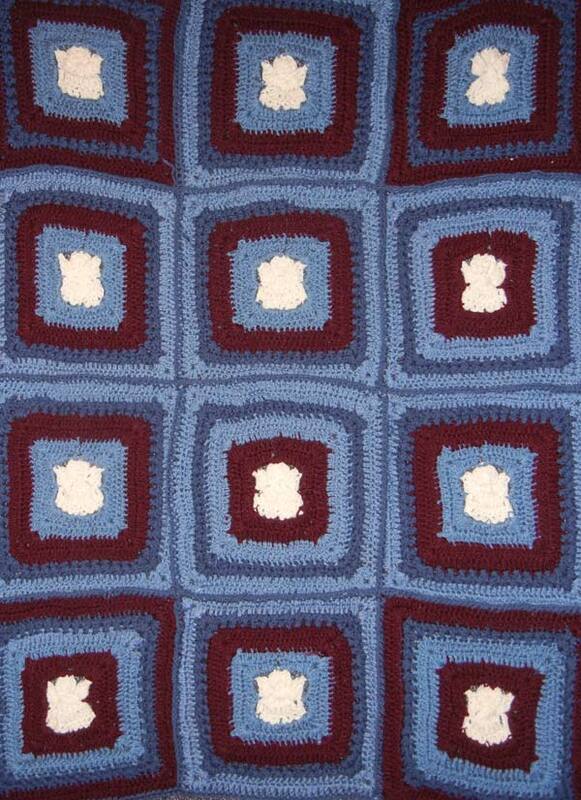 To learn the blooming granny square pattern for yourself, you can watch these videos. 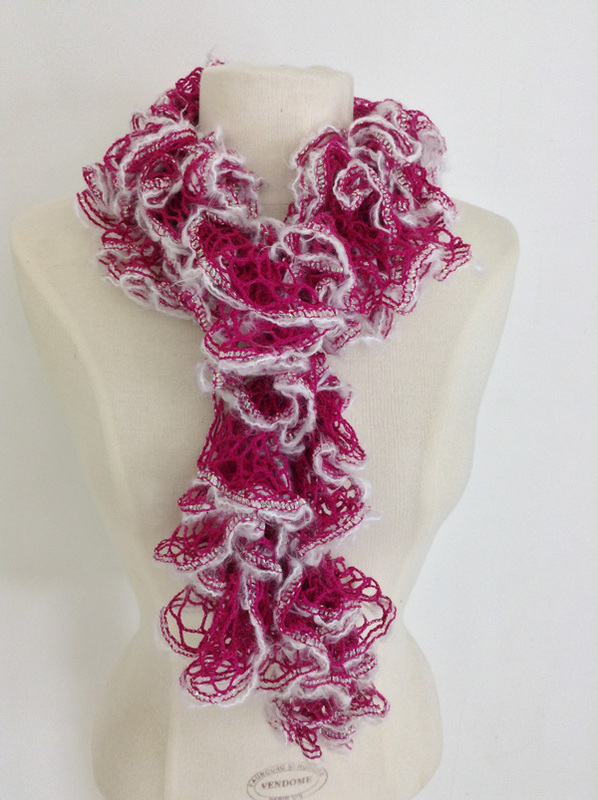 With slight modification to this pattern, Ramona created this beautiful prayerghan that she calls “Blooming in the Love of Christ.” The entire time she crocheted this prayerghan, she had Josie in mind. Josie is a 14-year old girl from Ramona’s church, who has been struggling with her identity as she continues to grow into adulthood. Ramona prays that Josie will bloom into a wonderful young woman through the love of Christ. 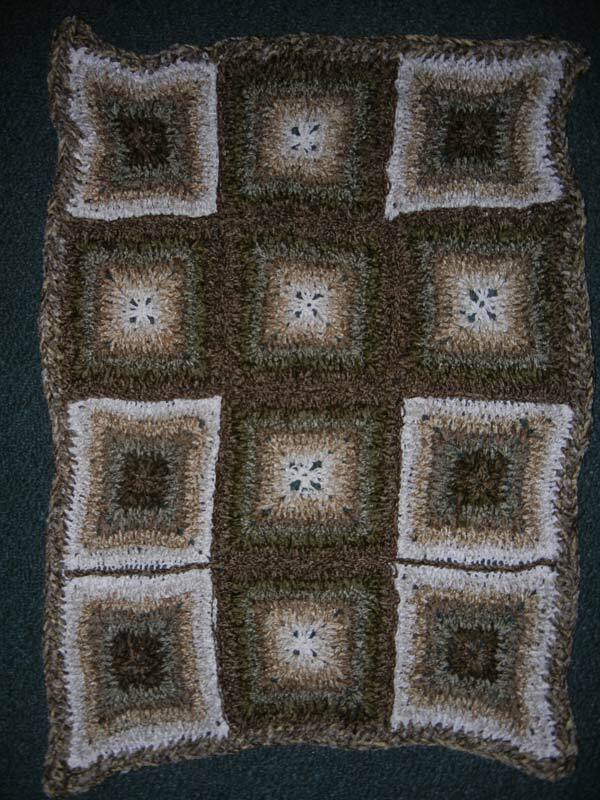 This is the prayerghan, “Blooming in the Light of Christ” made for Josie. 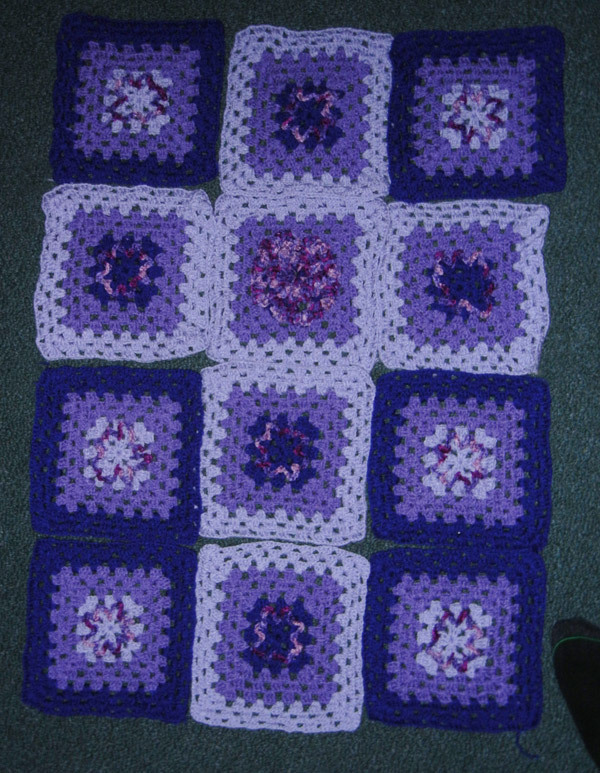 This is the prayerghan with angels made for the young lady who lost her grandfather. This prayerghan was made for a young man suffering from depression. We would like to thank Ramona for spreading kindness through her crocheting. If anyone is interested in participating in the Prayer Shawl Ministry, it is a national organization and you can search for local chapters in your area. We hope you enjoyed this story as much as we did. Read another heartwarming crochet story or share a special story with us! Send it to customerservice@maggiescrochet.com‏. We would love to hear from you, and your story just may find its way here to the blog. 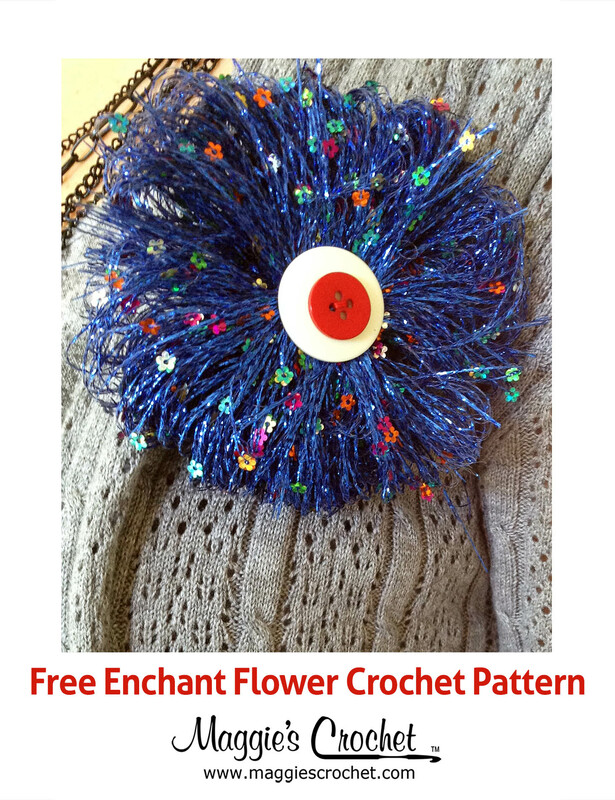 Although the Blooming Granny Square challenge is over, be sure to check out Maggie’s contests page for more opportunities to win crochet prizes and make something beautiful in the process. I have been receiving Maggie Weldon email news letters for some time now and always find inspiration in the patterns there. This story touched my heart and my sister in Florida does make prayer shawls for her church. I don’t think they have seen this wonderful pattern with a cross in the center. I will let her know about it and especially about the one made with angels in the center. Thanks so much for sharing this heart warming tale.